When small town Jeanie Marten began selling homes in Sachse, she couldn't have imagined the journey it took her on. 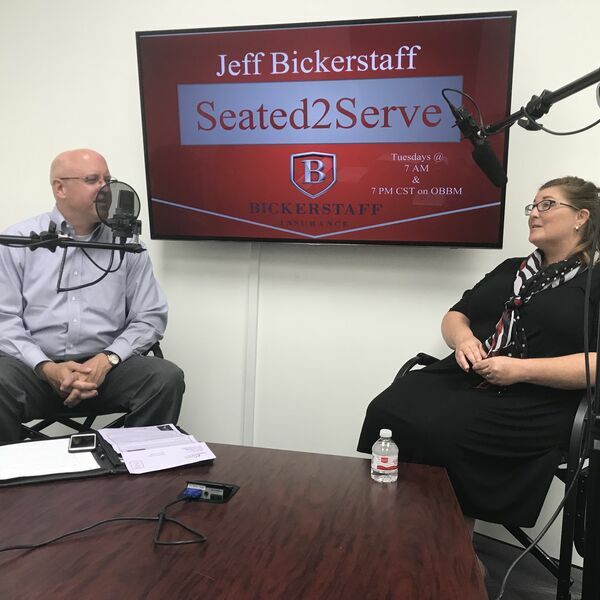 In this episode of Seated2Serve, host Jeff Bickerstaff talks with Jeanie about how she's grown her business, focused on a detailed knowledge of her Sachse, Texas, community from the inside out. Jeff's talk show, Seated2Serve, is connecting the dots between business, community, and family. Jeanie's discussion helps other local businesses see the opportunity in making changes both inside and on the customer facing side. In an ever-changing environment where virtual offices are encouraged, the Jeanie Marten Real Estate Team enjoys the brick and mortar, face-to-face relationships that cement long-term relationships. Give her a call at 972-588-8363.